Azerbaijan and Islam, willfully blind or skillfully strategic? My own memories of “religiousness” during Soviet Azerbaijan are limited to a few visits to one of still standing and largest mosques of Baku. I didn't know much about Islam, as we never studied it at schools. Everything I knew came from what my parents taught me, which they learned from their parents and so on. Today, while there is no limit on the number of times one can visit a mosque, there exists another control mechanism. According to Bahruz Mammadov, a political affairs consultant at the US Embassy in Baku, “the religious situation in Azerbaijan is controlled by the government,” especially as the authorities grow concerned with mushrooming religious divisions and their leaders. Just recently, the government introduced a series of new legislative amendments concerning religious literature - it is considered a criminal offense to import, publish, distribute any kind of religious material, audio or video including, except those that have obtained a stamp of approval from by the government committee for religious organizations. The law on Freedom of Religion prohibits government from interfering with religious activities, however continuous amendments (14 between 1992 and 2011) invalidate this generality. Every amendment adopted in the past ten years has imposed further restrictions on religious activities and people carrying these out. None of the approved changes were open to public comment. 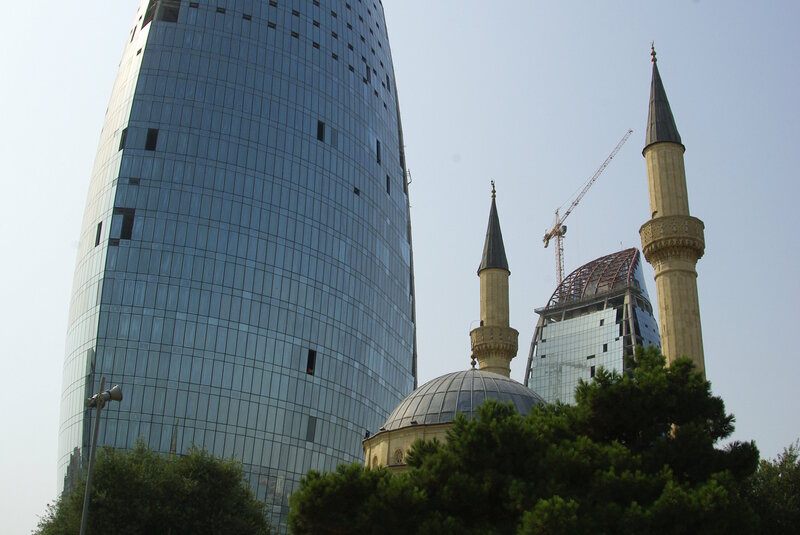 As a result, the government of Azerbaijan intentionally created a highly restrictive censorship regime banning praying outside of mosques, jailing of religions persons, enforced closing of places of worship, including jailing of those preferring to exercise their right to conscientious objection of military service and much more. Amendments to legislation on religious freedoms are not the only reflections of government-level disapproval of religious groups. Recently, in a statement, a parliament member spoke of his distaste of those religious individuals representing the Salafi branch of Islam as intolerable. “I cannot stand the sight of beards and short trousers favored by Salafis”, said the MP, adding that these people“should be ostracized from society.” Moreover, the Salafi branch of Islam is not officially registered with the State Committee for Work with Religious Structures and does not cooperate with the Caucasus Muslim Board - a Soviet-era institution officially in charge of Islamic affairs in the country. Publicly, the officials take pride in the country's modern religious leaning and the successful policies of preserving secularism in Azerbaijan. Intolerable practices disguised under a tolerable image have put the country's secularists under fire as well. With the state unable to protect their rights, they too feel squeezed between Islamists and the Azerbaijani government. A well-known example is the case of secularist journalist Rafiq Tagi, murdered by stabbing in Baku in 2011. Tagi received a number of death threats and, despite his filing official complaints, none were heeded. Even fatwa issued by Iranian cleric Ayatollah Fazel Laybarani was left unnoticed. Perhaps, Tagi would be alive today had the government investigated his case and offered some kind of protection. Following Tagi's death, another well-known Baku intellectual and a professor at Khazar University, Agalar Mammadov, issued a letter signed by other intellectuals. The letter called attention to the growing trend of violent Islam. Like Tagi, Mammadov began receiving threats. He chose to seek asylum in Sweden. Needless to say, the government has kept silent. Azerbaijan's geographic location makes it a perfect target for the various forms of Islamic influence: Saudi (Safali/Wahhabi, including through the northern Caucasus), Turkish (Nurcu, moderate Hanafi) and Iranian (radical Shia Islam). Over the years, these religious congregations have gained a stronghold in Azerbaijan through their own mosques and other education institutions. Experts tend to quote issues like social injustice, inequality, corruption and other grievances among the reasons why people turn to religion. Among others, Altay Goyushov, an Azerbaijani historian, attributes the growing influence of Islam to ongoing social problems in the country, and above all, to corruption. In 2011, Movsum Samadov, head of the Islamic Party was arrested and later jailed for 12 years for causing public disorder. Samadov was detained along with his deputy Vagif Abdullayev, driver Mirhuseyn Kazimov and party activist Elchin Hasanov. Later hand grenades were “found”in the apartments of two of Samadov's cousins. In April 2013, the government jailed eight Muslim activists who were arrested a year earlier while clashing with the local police during a protests of the hijab ban. Pretty much since the coming to power of late President Aliyev, a majority of the opposition parties have been subject to constant harassment, ranging from banning protests in the main squares of the capital to eviction from offices and, in some cases, refusal to issue a passport. More recently, an introduction of drastic changes to the legislation on criminal offenses (raising periods of administrative detention, increasing fines and so on) have turned traditional opposition into a much weaker and less attractive political power player. “The current repressive political environment [in Azerbaijan] only exacerbates radicalization. There is a mass belief in Jihad and the judgment day. And they fear nothing,”a resident and lawyer from Baku told me. Moreover, labeling dissidents as Islamist extremists in some cases makes the local government appear willfully blind at best. Surely such an approach doesn't improve relations between the two. On the other hand, this everything-under-control attitude plays into the hands of the country's Western allies. The relationship flourishes as a result of a strategic card played for political purposes. Azerbaijani authorities are always ready to point a big finger at Nardaran, a village 25 kilometers north of Baku, a bastion of the country's Shia followers and home of the Islamic Party (founded in 1991 and stripped of its rights in 1995). Many of the protests that have shaken the village in the past few years (surprisingly with little government intervention) serve as a basis for political leverage: if the Western world stops supporting the incumbent government, this is who the West will have to deal with. Recent changes among the opposition players in Azerbaijan - the forming of one united coalition with a single leader who will also be running for the presidential seat in the upcoming October elections - might be a sign of winds of change. However, the country and its people are yet to see how the new coalition will tackle the religion question. Will they find a mutual language of understanding and tolerance? So far the question still lingers. The coalition is barely a month old and there is a long way to go. In the meantime, seekers of justice in the "Almighty” continue to flock to Friday prayers, read the Koran for the first time, and ultimately either follow a moderate path or get carried away with the waves of “missionaries” coming from Turkey or Saudi Arabia.